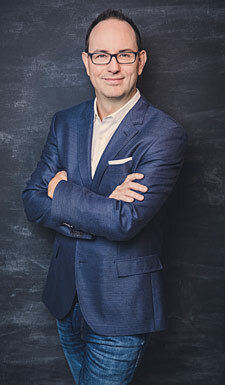 Jamie Goehring - Lighthouse Pictures Inc.
Jamie Goehring, CEO of Lighthouse Pictures, has been a force in Canada’s entertainment industry for over 10 years. He has leveraged his creativity and business acumen into a prolific producing career, establishing himself as a successful executive in the film industry. Jamie has produced projects starring some of the world’s leading talent, including Clive Owen, Molly Parker, Thomas Jane, Kate Bosworth, John Travolta, Giancarlo Esposito, James Franco, Josh Duhamel, Famke Janssen, Mira Sorvino, Candace Cameron-Bure, and 6-time Grammy Award winner Toni Braxton.A native of West Vancouver, British Columbia, Jamie holds a major in Economics and minor in Psychology from Simon Fraser University. In 2004, after discovering his passion for filmmaking and cutting his teeth in Vancouver’s film industry, he hustled to learn a comprehensive understanding of the craft. Jamie and Lighthouse Pictures are one of the busiest production companies in Western Canada. In the last 5 years, Lighthouse has produced over 51 projects with major partners including Netflix, Great Point Media, TBS, A&E, and Hallmark. Their current slate consists of: 1922, a Netflix film based on a Stephen King novella; The Show, a Feature Film from director Giancarlo Esposito; and World’s End, a TBS TV pilot from creator Jonathan Ames.